Ask questions about donorato, give us some feedback, or request product features you want to see. donorato strives to provide the most reliable, online, charitable giving database, so don't hesitate to contact us with any issue you experience. Our support team typically replies to emails within 1 hour. We are also always available by phone Monday - Friday (8AM to 6PM), excluding federal holidays. If you are a donorato user and have experienced an issue, email support@donorato.com directly for the fastest response time. You can also call us at (855) 878-3448. donorato constantly monitors the application for performance and/or service issues or outages. 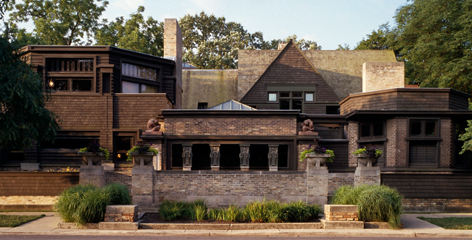 We're located in Oak Park, just down the street from the Frank Lloyd Wright Home and Studio. Check it out next time you're in Chicago. Oak Park is also home to the Ernest Hemingway Museum; make sure you add that to your visit. We recommend all new users review our FAQs and Pricing before getting started for the best donorato experience. We've compiled detailed answers to the most common questions we get from our users (and answered questions you probably haven't thought of yet). Remember, we love to hear about your product suggestions and get feedback on how you use our application. We look forward to hearing from you!